Give back and get lit! 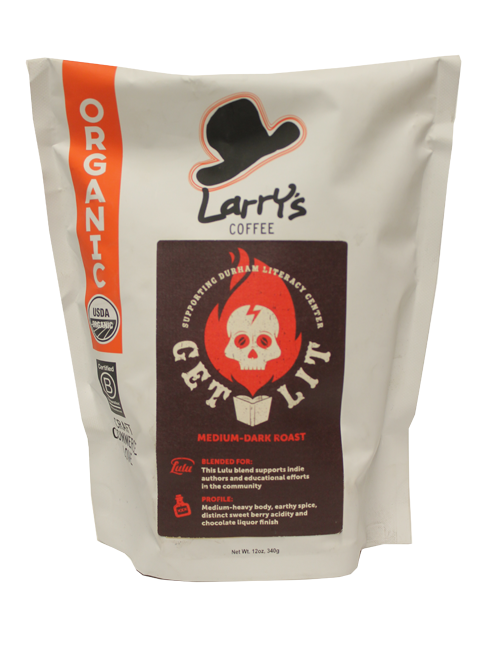 Lulu Press, our neighbors and B-Corp Certified buddies have partnered with us to come up with this amazing medium-dark roast blend that's perfect for curling up with your favorite novel! Or, pour yourself a cup to get the creative juices flowing and write your own! Even better, 5% of sales will go to benefit the Durham Literacy Center, the only community-based organization focused entirely on adult literacy. Medium-heavy body, earthy spice, distinct sweet berry acidity and chocolate liquor finish.